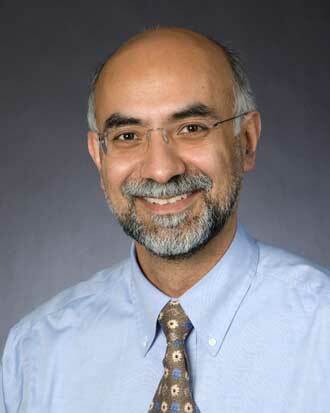 Dr. Mahallati specializes in nephrology, renal transplantation and diabetes. In addition to practicing medicine, Dr. Mahallati enjoys portrait painting (featured on ABC News' "Nightline") and hiking with his golden retriever. Can´t say enough about the doctor. He put me at ease with my first visit & he always has shown compassion, care, and LISTENS to me. He is GREAT. Informative visit. Right level of time and deliberation. Dr. Mahallati is an excellent care provider. This care provider is very pleasant but I trust my home base nephrologist to provide or recommend other specialists to help with some of the other problems the transplant caused. Amazing! Made my husband and I feel @ ease! Impressed by the process. I could not point at any imperfection. Dr. Mahallati is always the best at explaining diagnosis/treatment/idea etc., I can get of hold of him by phone and is always very nice and concerned. My experience with doctor was just fine. Excellent doctor. #5-6. Not yet. Dr. Mahallati saved my life. I went through 2 other major hospitals and 2 other nephrologists, that got me to Dr. Mahallati. Thank God for that! Informative, funny, peace of mind after explanations, helpful - Great MD! Mostly I had questions for surgeon which he spent adequate time. The nephrologist answered the couple question I had. My primary nephrologist has answered most of my questions in the past. Dr. Mahallati is truly a superior practitioner. I am fortunate to have his help with my care. Dr. Mahallati is top notch! Loved the doctor! Very insightful & kind. Simply excellent. Responsiveness was to email is OUTSTANDING! I can not comments strongly enough how SUPERIOR the service has been compared to U of W.
My family and friend know how much I appreciate Dr. Mahallati´s knowledge, the way he explains things so I understand, and his total focus on his patient. He is "outstanding"!! I developed a great relationship with several nephrologists since my kidney transplant - Dr. Weiss - Dr. Sutters, Dr. Cryst and Dr. Manalatti all excellent! I appreciate that Dr. Mahallati spends time with his patients, listens well, explains well and writes down instructions for patient. Dr. M was outstanding in every respect. Patient had not wanted to consult a neurologist but is very happy she did because Doctor made such a great impression! All good & very good.